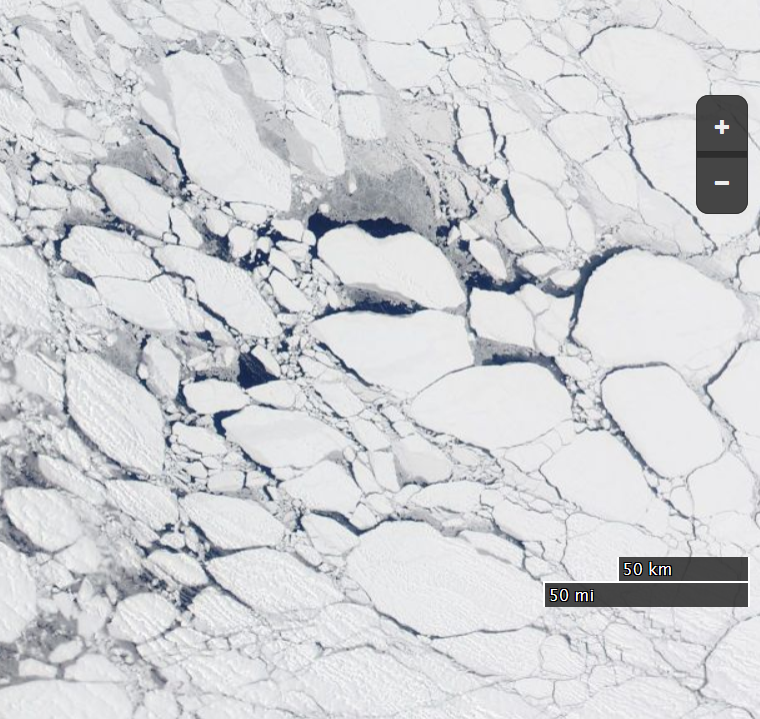 The images below have links embedded in the captions which provide access to further images. 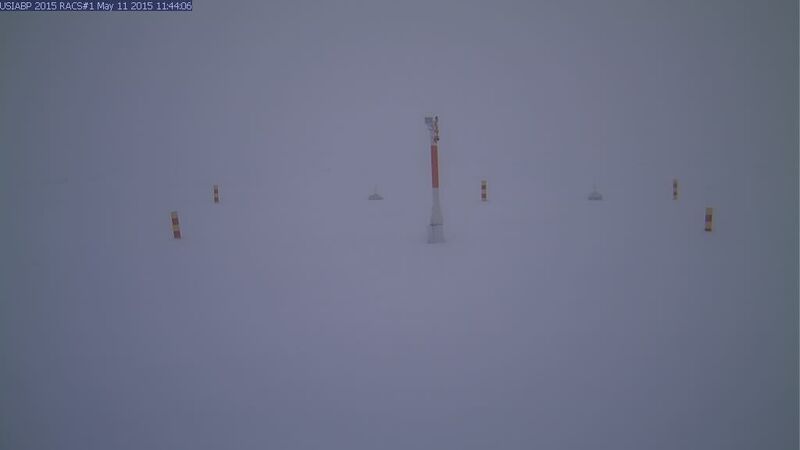 Please click them and explore! 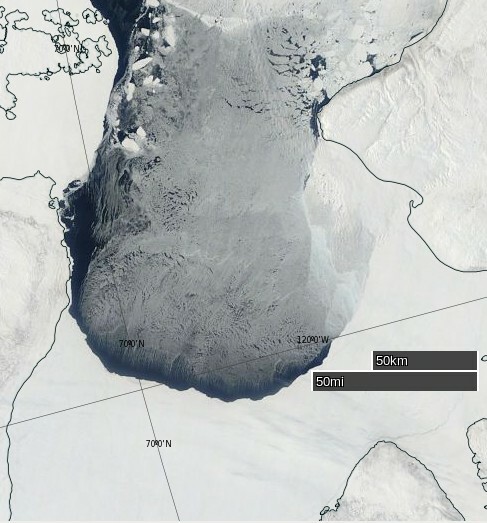 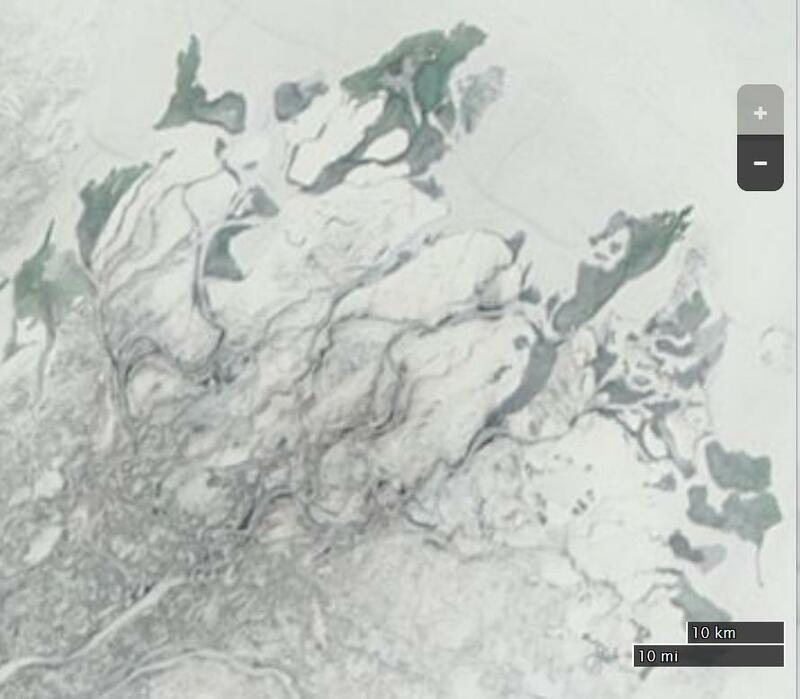 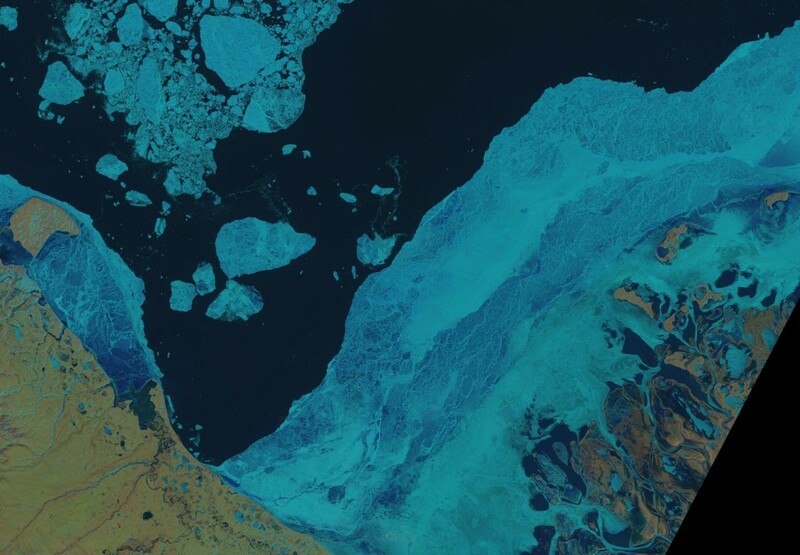 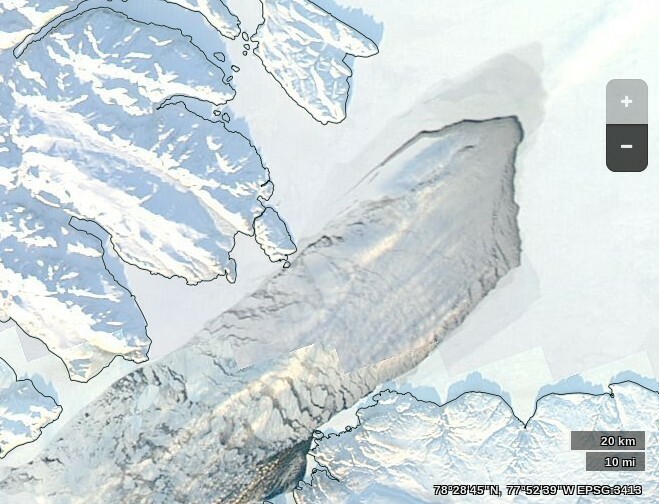 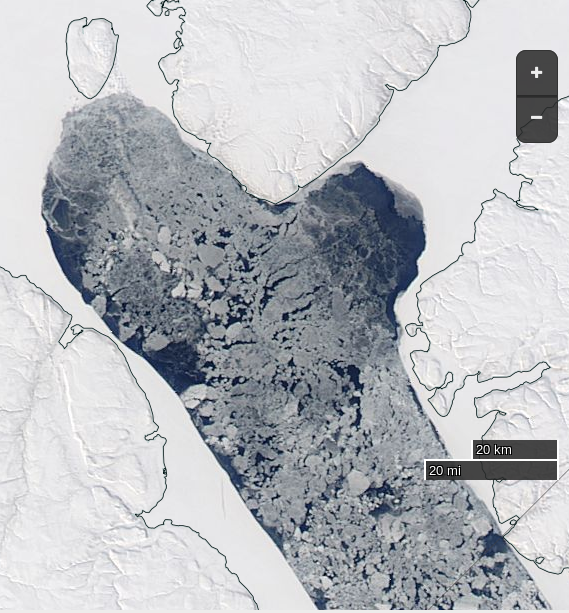 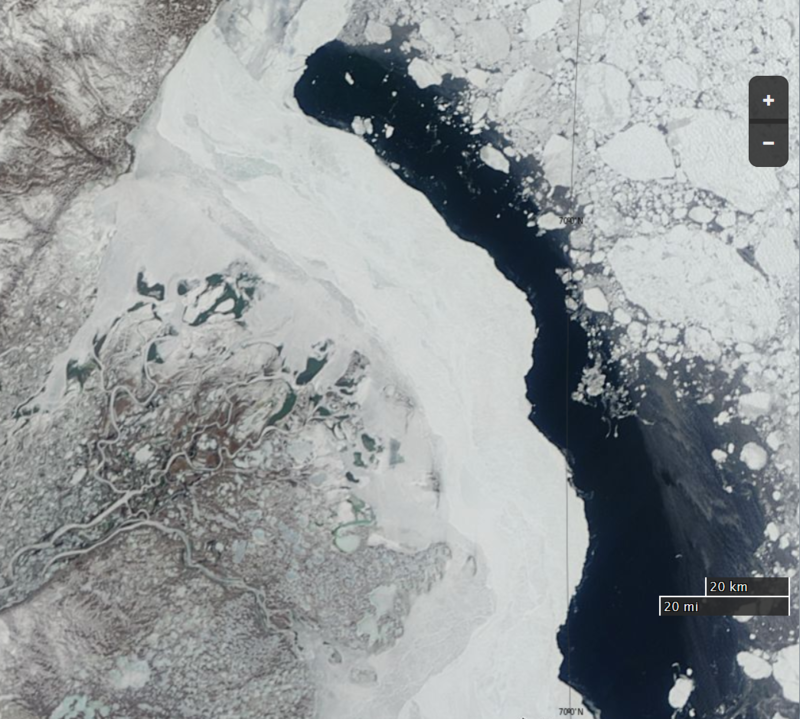 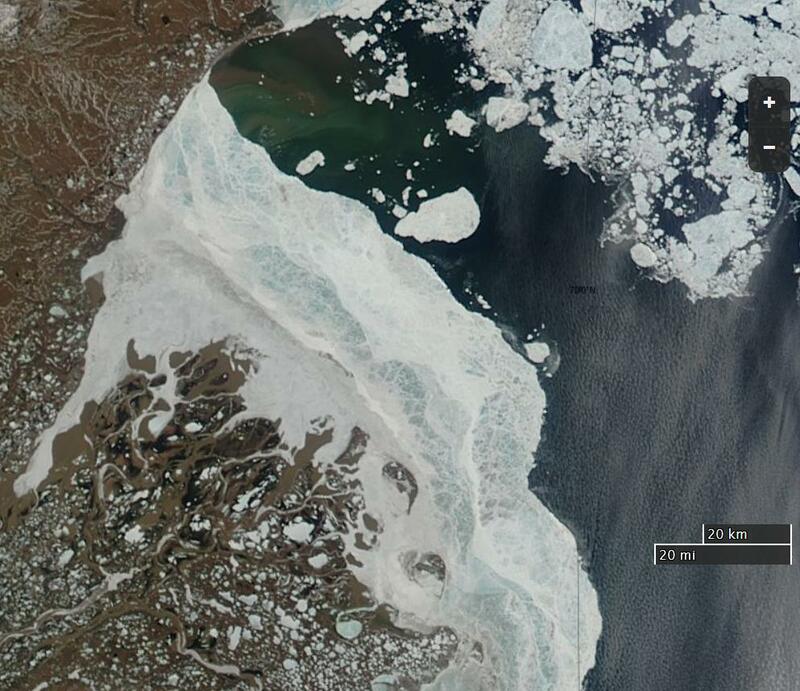 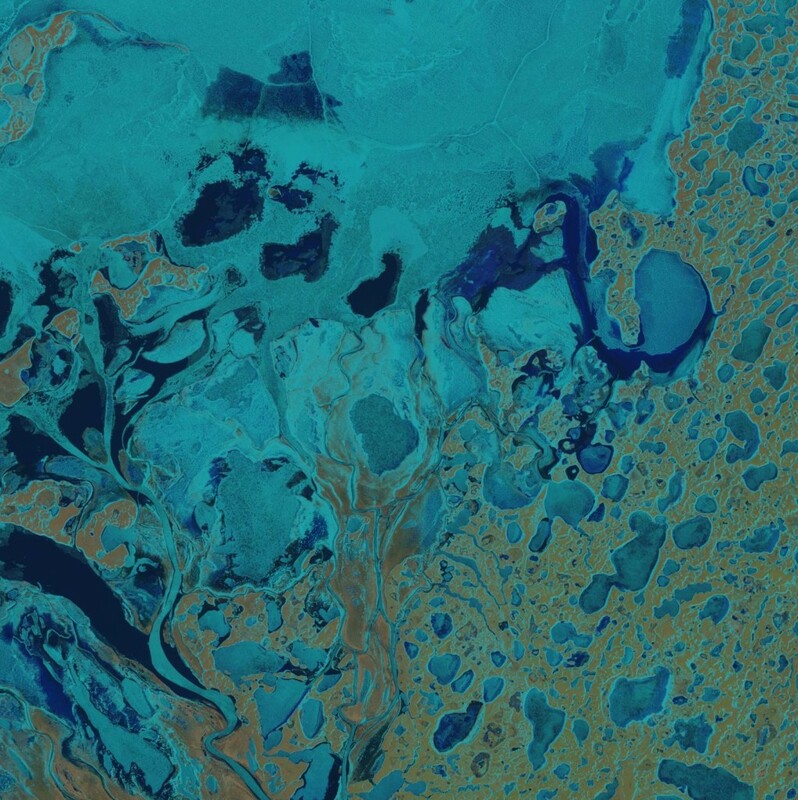 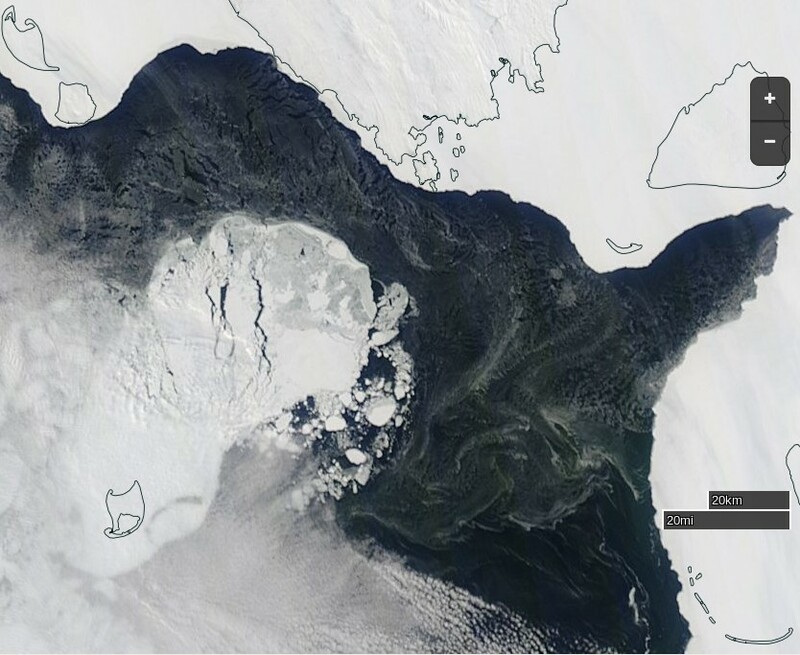 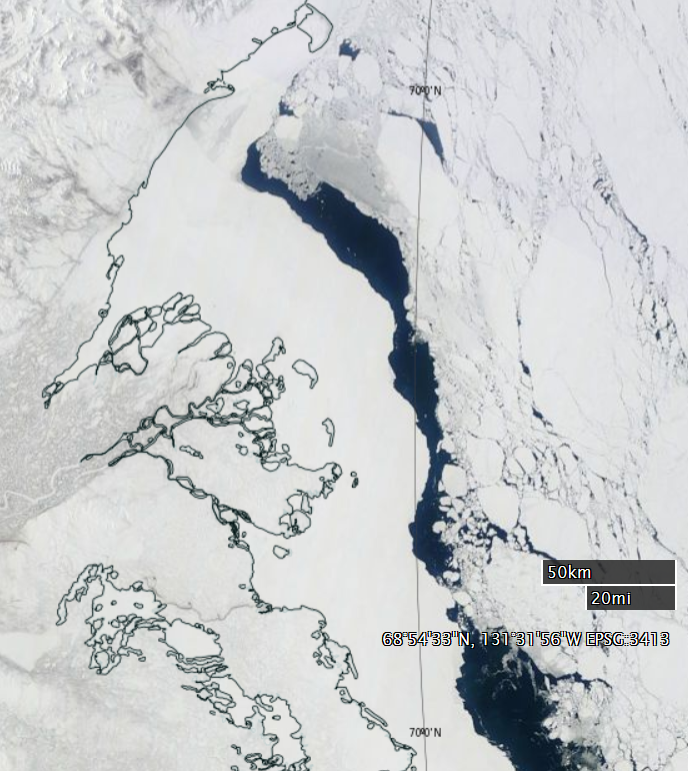 For the satellite images you will find yourself on the NASA Worldview web site, where with a click or two you can easily see the effect of changing from one “pseudo colour” representation of the satellite data to another. 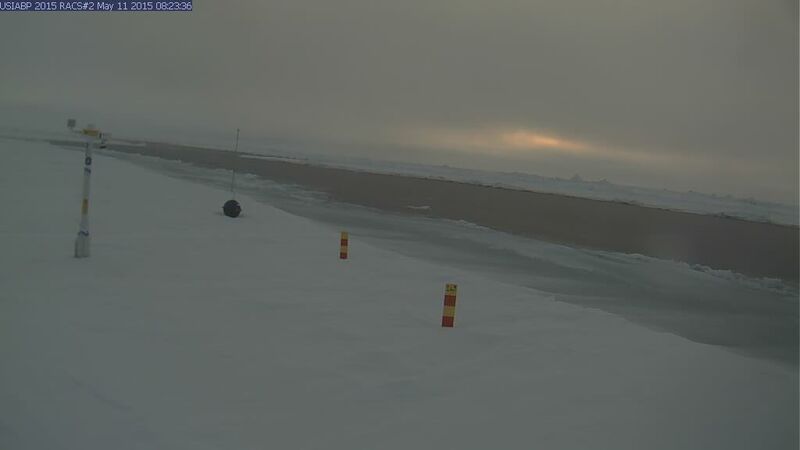 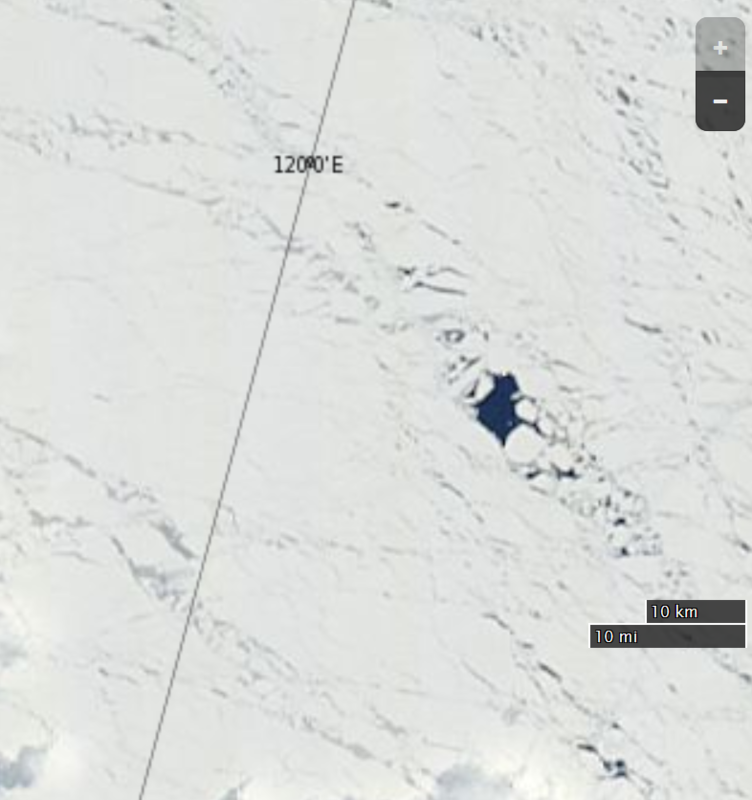 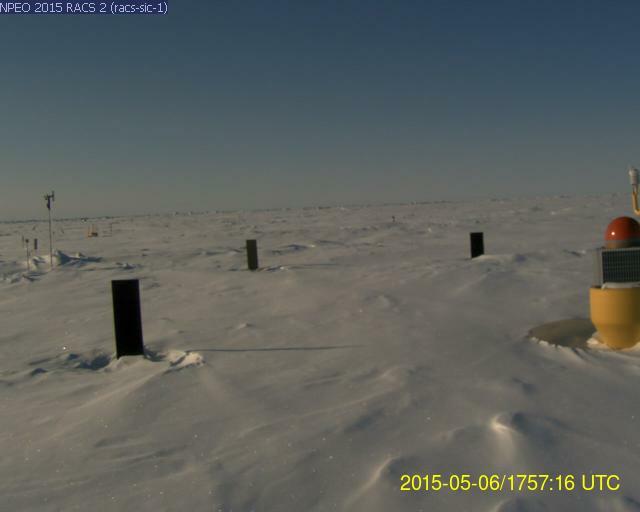 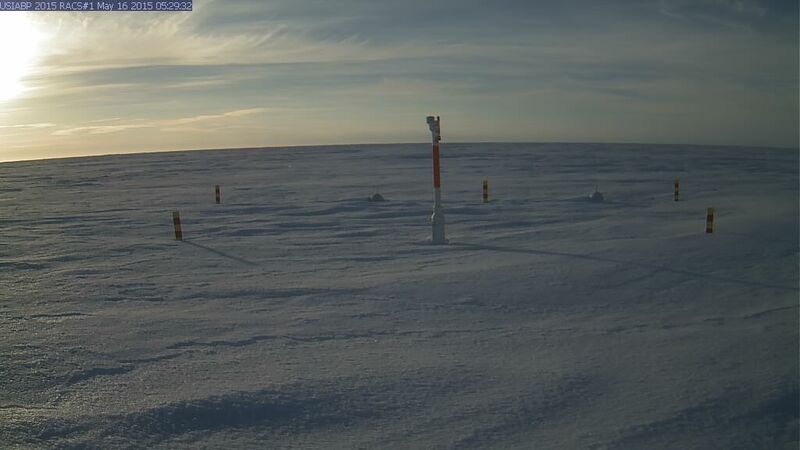 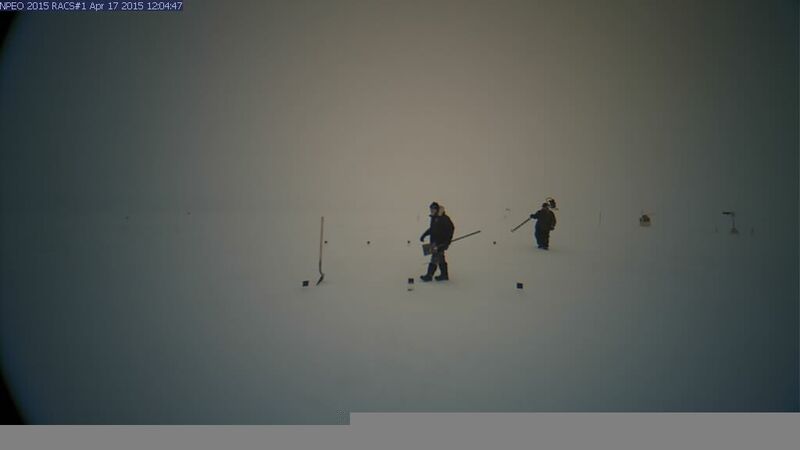 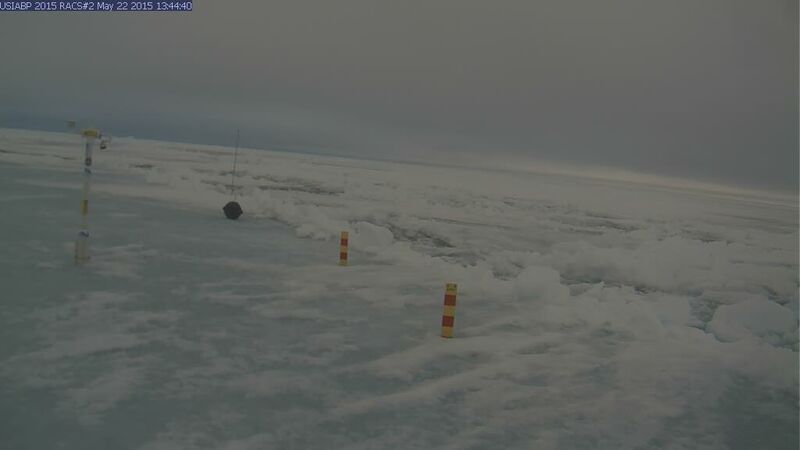 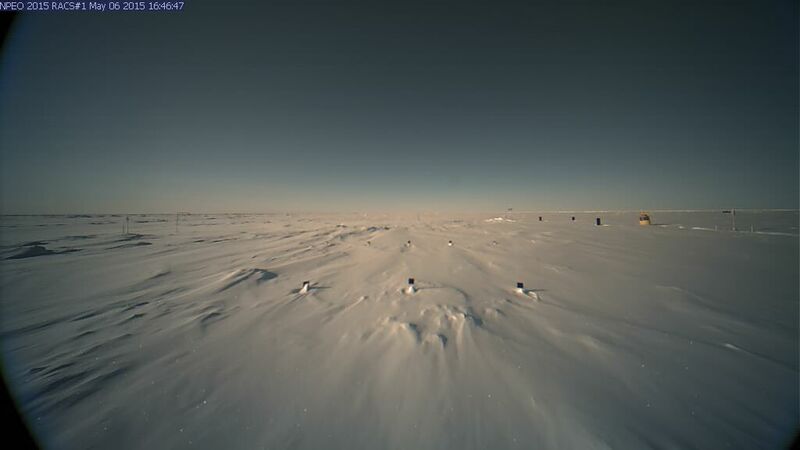 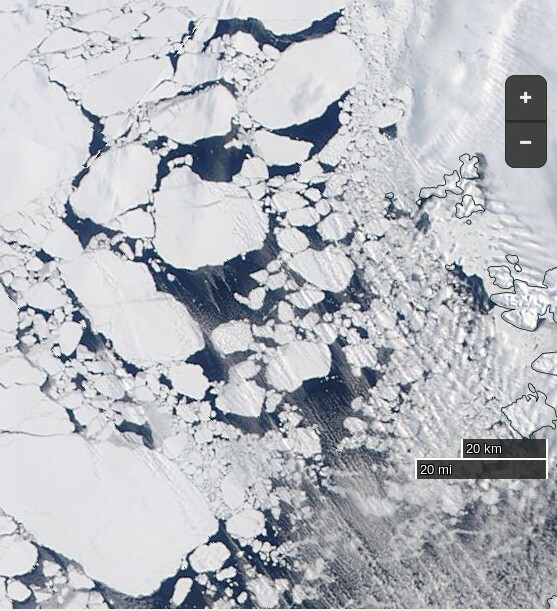 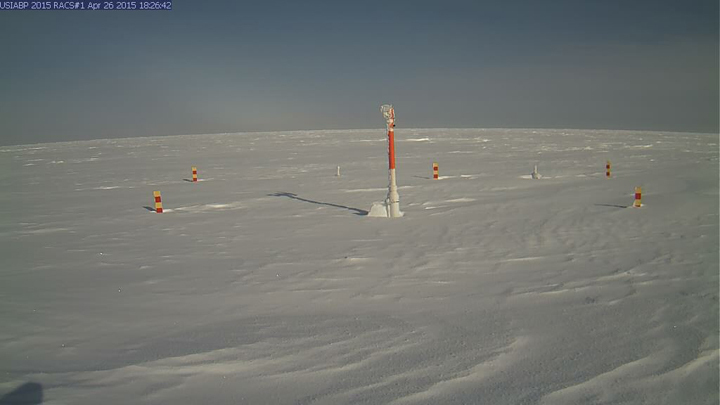 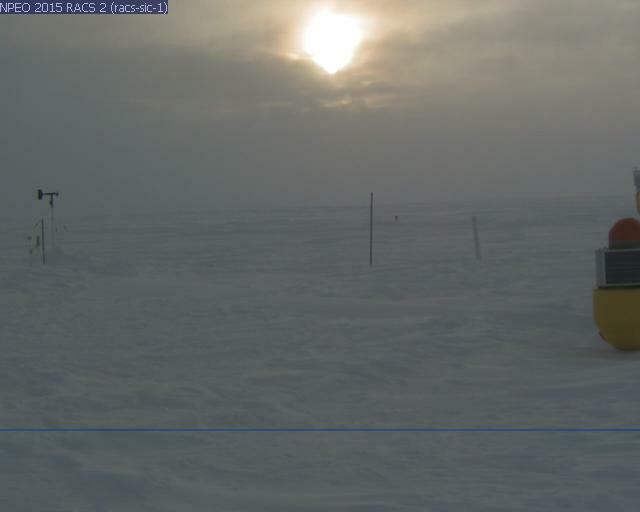 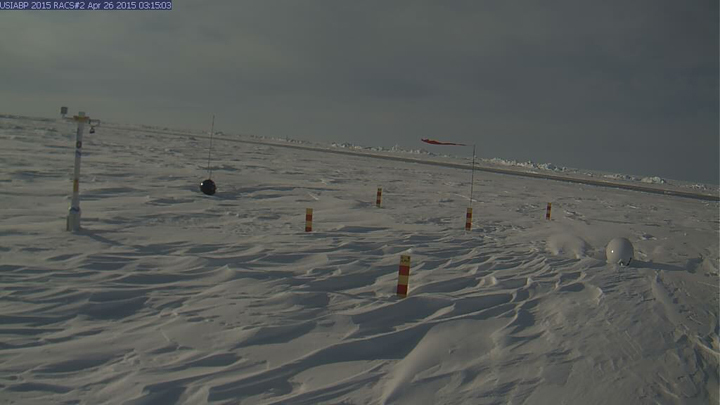 Ice Mass Balance Buoy 2015A webcam image on May 27th 2015. 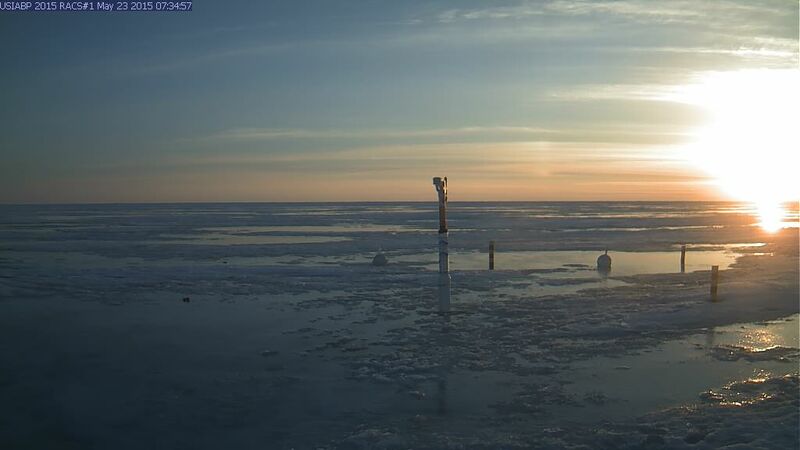 Ice Mass Balance Buoy 2015A webcam image on May 23rd 2015. 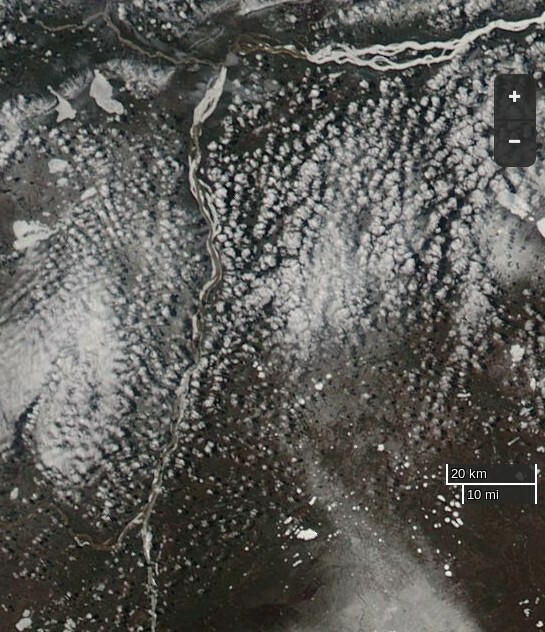 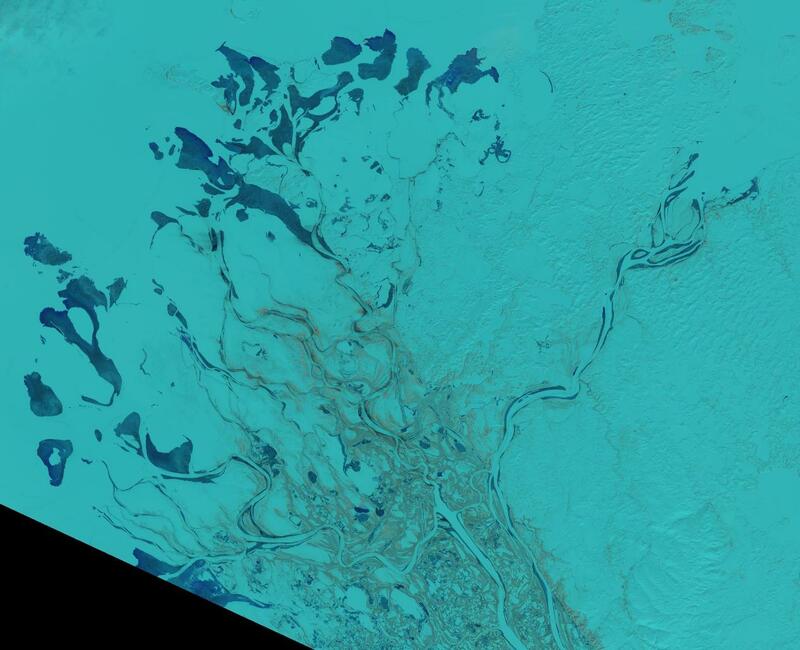 Spot the melt ponds! 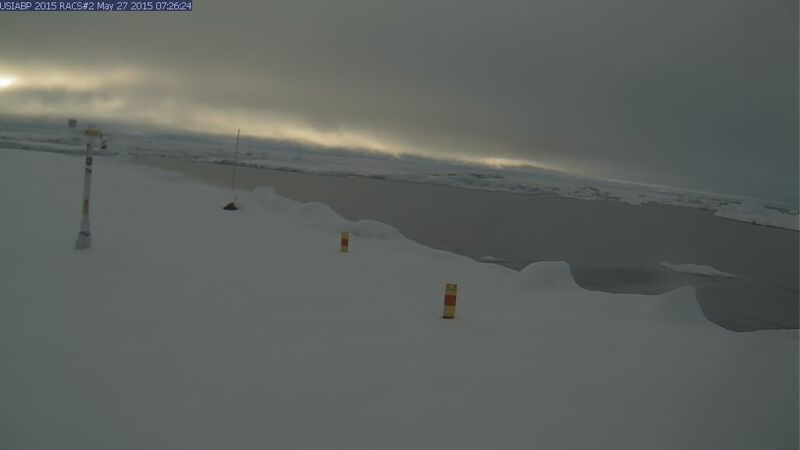 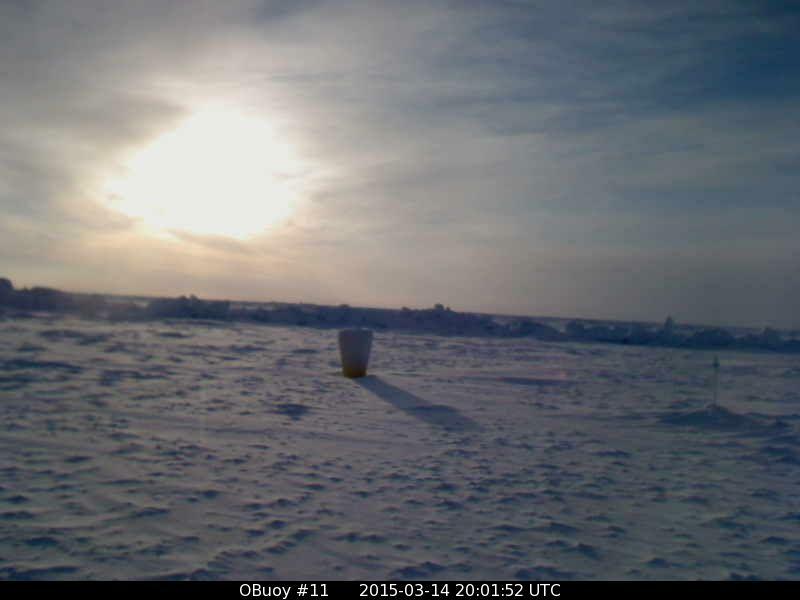 Ice Mass Balance Buoy 2015A webcam image on May 18th 2015. 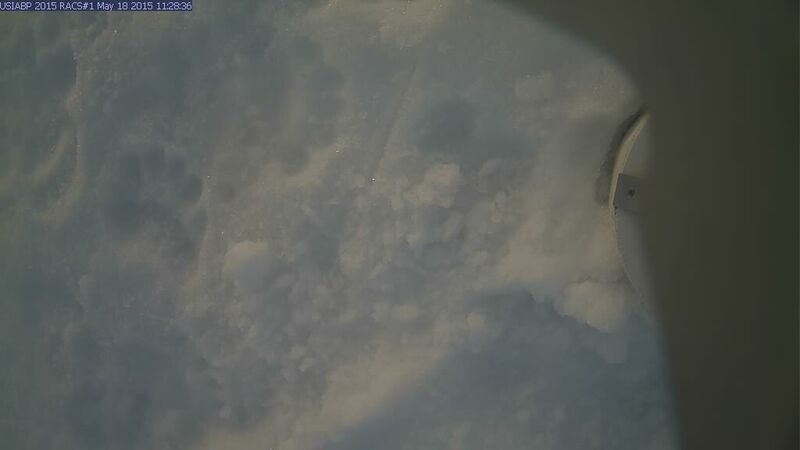 Spot the paw prints! 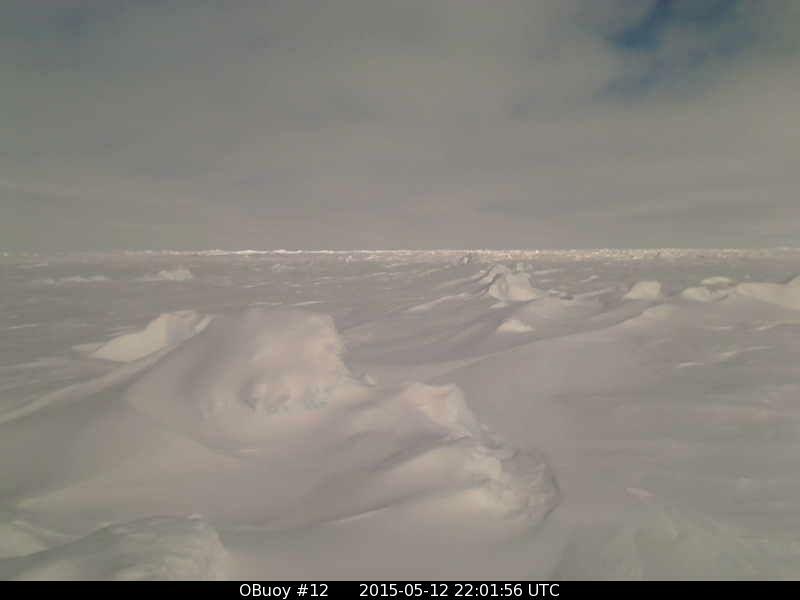 Ice Mass Balance Buoy 2015B webcam image on May 27th 2015. 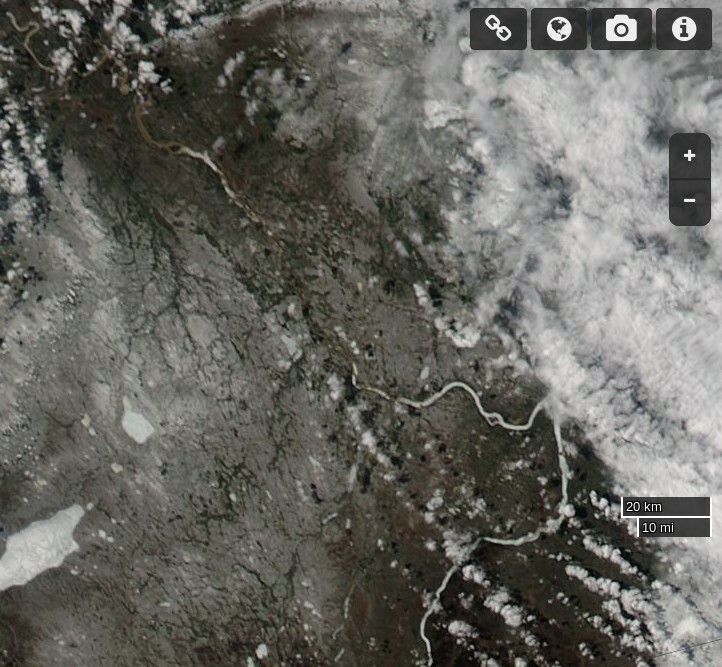 Spot the snow! 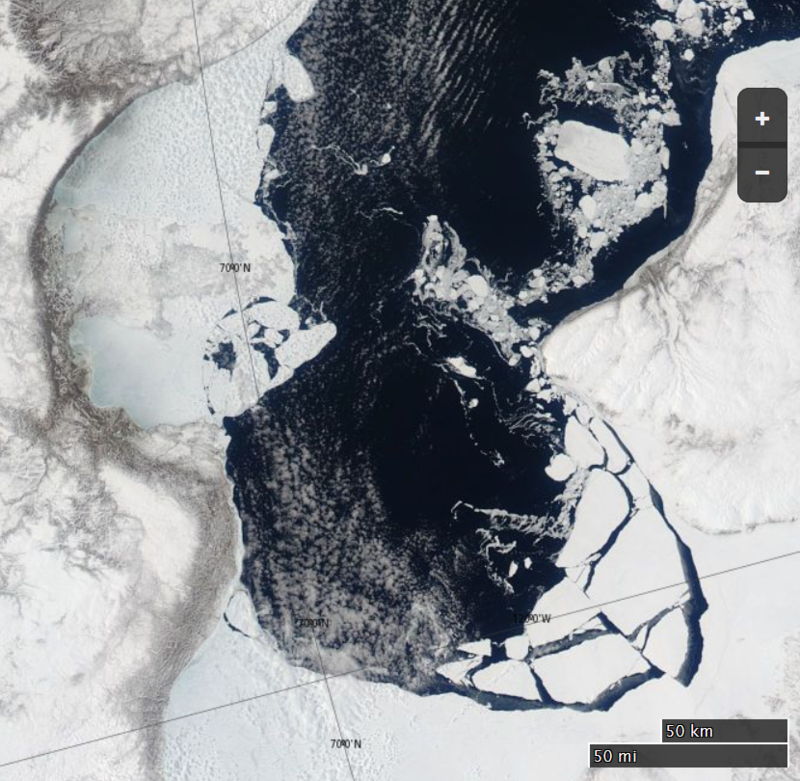 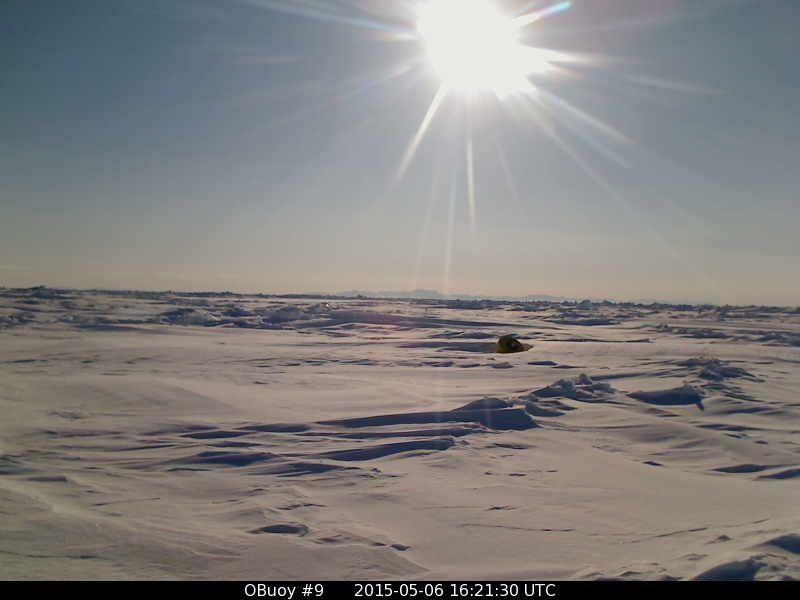 O-Buoy 9 image from May 6th 2015, with Greenland visible in the background. 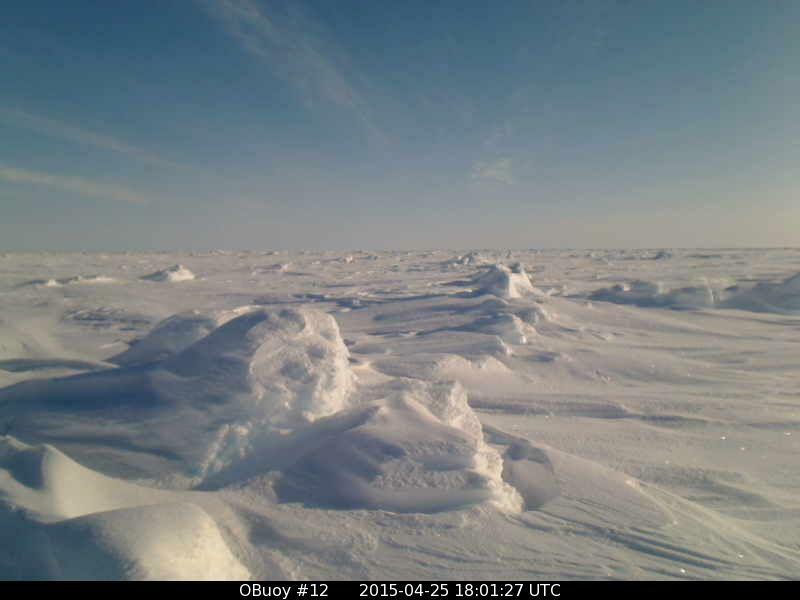 O-Buoy 9 image from March 18th 2015, shortly after the buoy powered up after the winter. 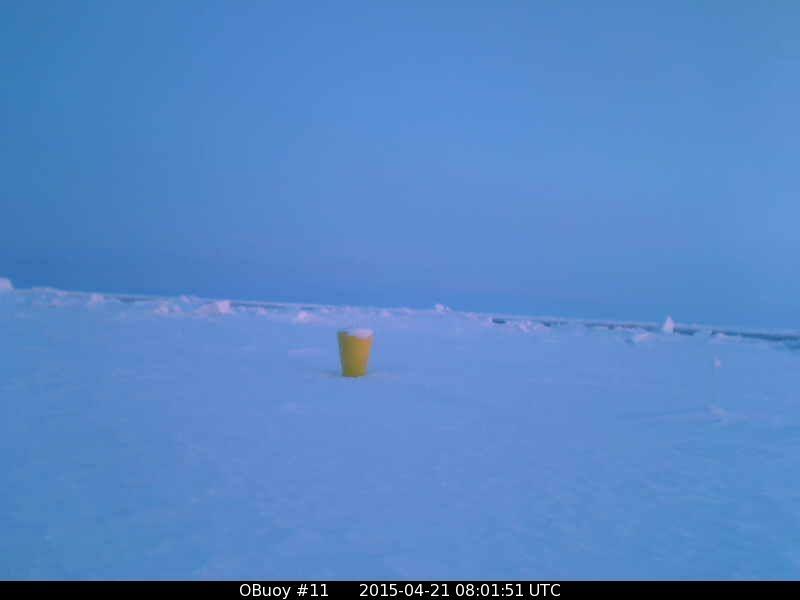 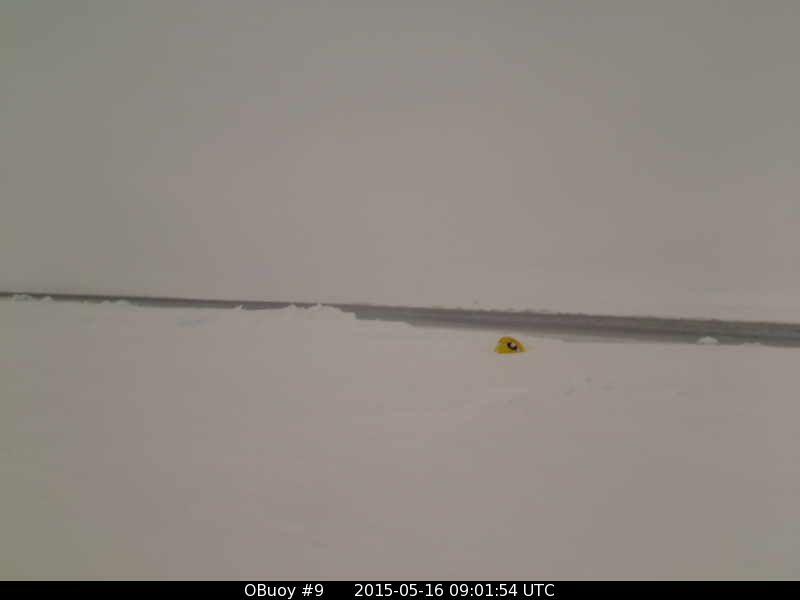 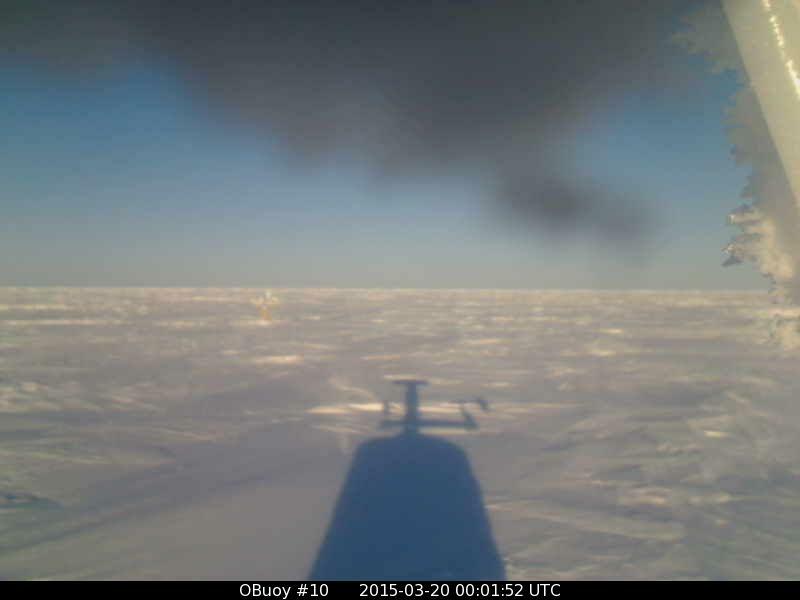 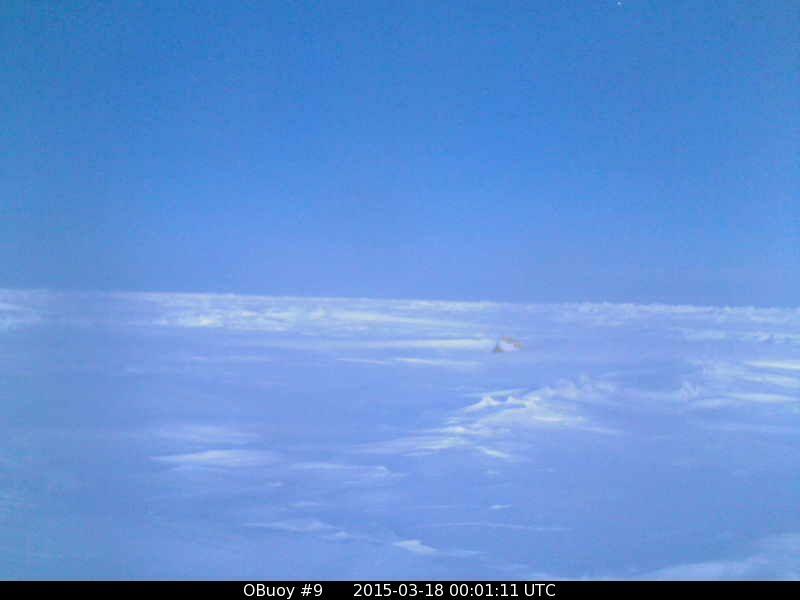 O-Buoy 10 image from March 20th 2015, shortly after the buoy powered up after the winter. 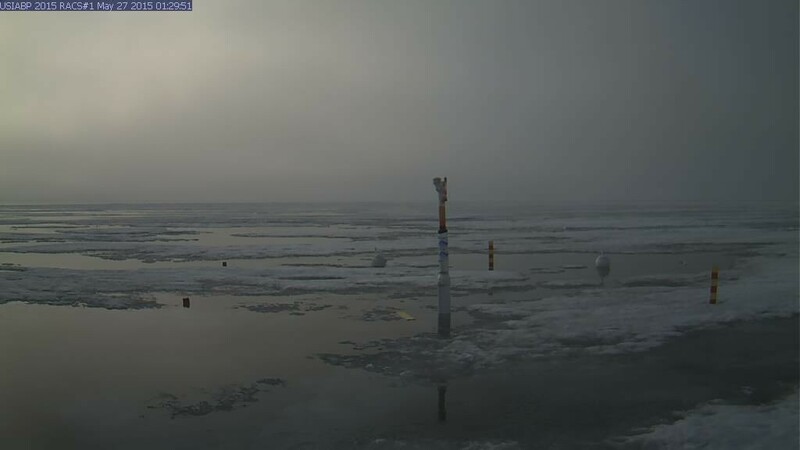 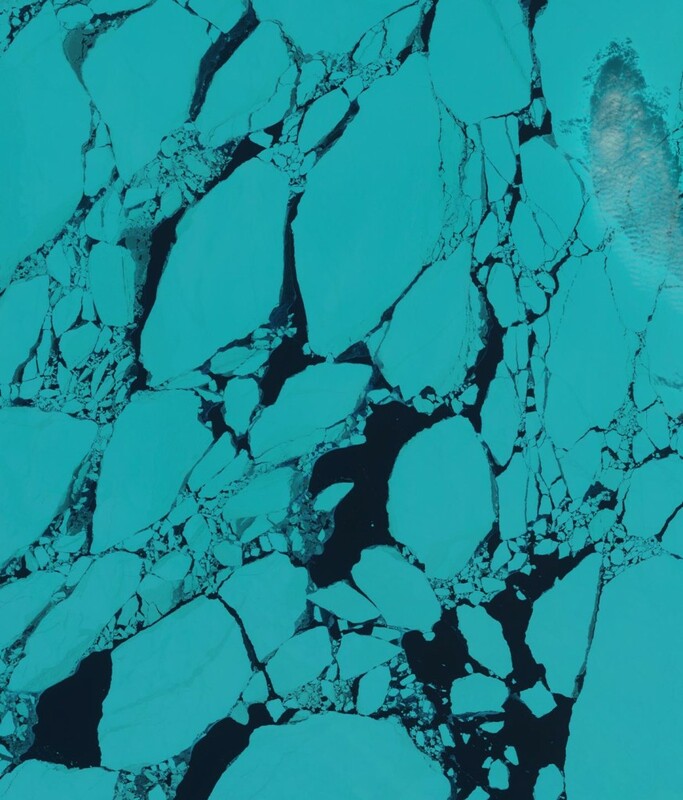 See also our Arctic sea ice graphs overview page, our Arctic sea ice videos page and our Arctic ice mass balance buoys overview page.